As I am writing this, streams of raindrops are running down the bus window. We are stuck in traffic. The clouds have rolled in and wrung themselves out on top of us. Looking at the positive side of things, I have plenty of time to dream. With glazed eyes my mind turns back to the time I roadtripped the US East coast by bus. That alone was an adventure. Having come from the chilly streets of Boston and stepping out into the glaring Florida sun was everything. Being new to Florida, I wasn’t just happy seeing one city. I picked three: Jacksonville, Fort Lauderdale and Miami. When people from abroad visit Florida, they usually ogle Miami and Orlando. The force of Disney is strong but this time I was stronger and directed my attention elsewhere. I wanted to discover the sunny state and not enter cartoon coloured dream worlds. Maybe Florida looked just as vivid? I wouldn’t know until I set out to explore. It being my first visit in Florida, I limited my itinerary to Jacksonville, Fort Lauderdale, Miami and Tallahassee. With the vast distances of the United States and the bus network that required a few stops, I needed to stretch my legs. And took the opportunity to get out. But even so I managed to overlook a lot of loveable areas. 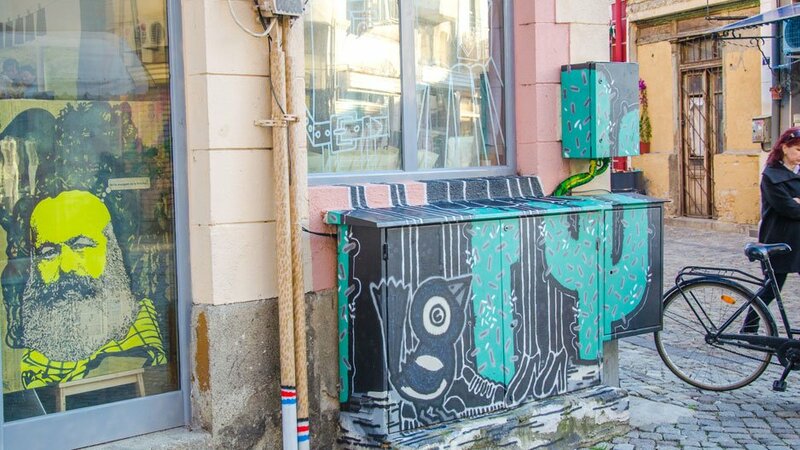 I had no idea about the local street art scene, let alone the long list of cultural events that are happening throughout the year. 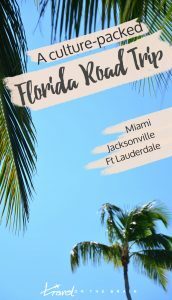 So this post is as much a written bucketlist for my future Florida road trip as a list of ideas for you to see a different angle. Parading up and down endless beaches DOES get boring after a while. Good thing, a Florida road trip has so much more to offer. 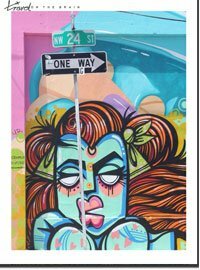 Roaming the streets of famous South Beach in Miami, colour is everywhere. 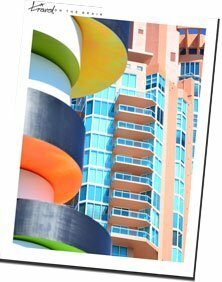 Each Art Deco building boasts in its own hue of pastel, almost as if trying to outshine the other. But straying a bit further, the tones change and suddenly burst into a myriad of rainbow colours. 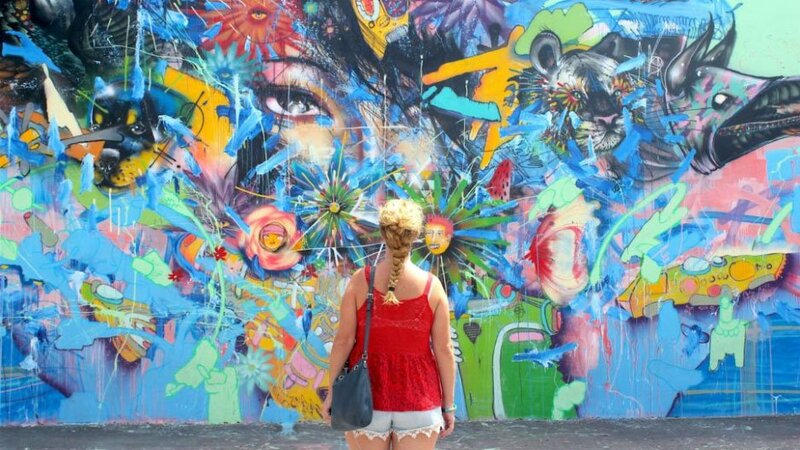 In particular Miami’s Design District and Wynwood Walls will leave your hunger for street art satisfied. For a more multicultural experience, head to Little Havana. But be prepared to speak Spanish! 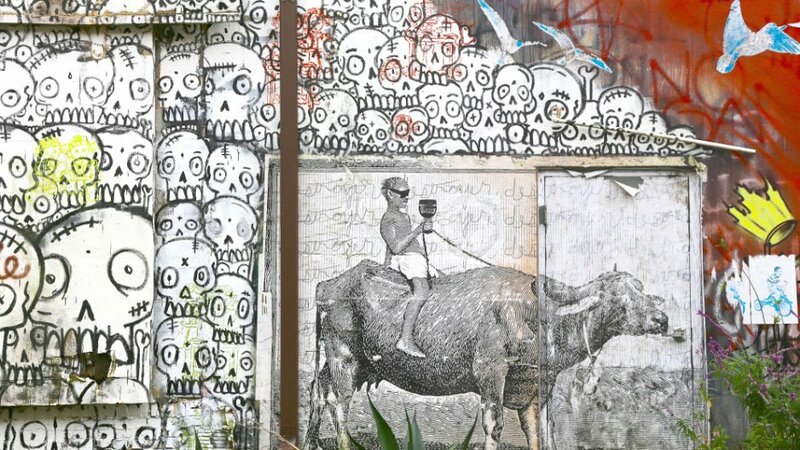 In Jacksonville, street art might seems a tad harder to spot. 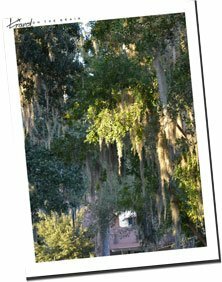 The typical Southern style houses dominate the suburbs and massive live oaks drooping with Spanish moss don’t leave much space for paint or art. However, thanks to a bill about Art in Public Places, Jacksonville has quite something to look forward to. How about a giant metal horse called Pine Breeze Dandy? Or the mosaic wisdom wall with quotes from Martin Luther King and Ghandi? 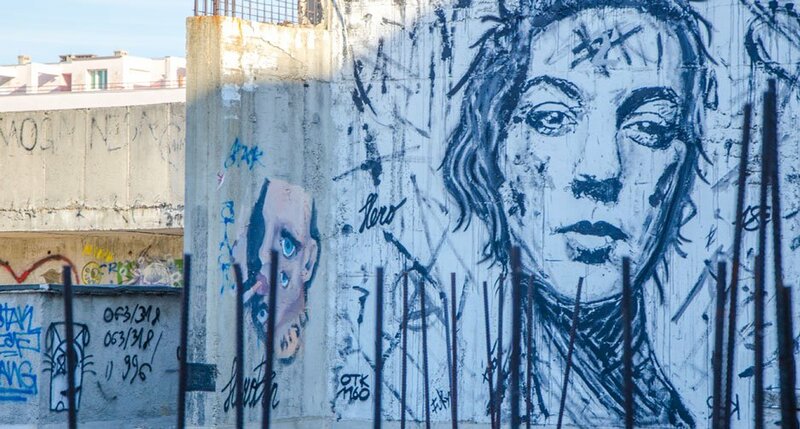 Especially book lovers will find art to love with Kathryn Freemason’s murals. She references local authors and included ideas of 1000 school kids in her works. 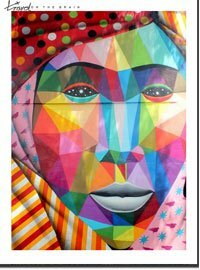 Of course, art cannot and should not be separated from local culture. It is not only political but also often a manifestation of subcultures and historical references. In Fort Lauderdale, for instance this is topicalised by the African American Research Library and Cultural Center and Old Dillard Museum. Learn more about the African American heritage and contributions. For Native American insights, hit up the the Ah-Tah-Thi-Ki Museum. There even is a Seminole village to explore. Jacksonville, too, proudly advertises its multiculturality. A cool idea to get your hands on local crafts and empower the community is the African Village Bazaar. It’s a free event taking place monthly on every last Sunday and originated from the African Village at the World of Nations Celebration. For more African American history, follow parts of Florida’s African-American Heritage Trail. Did you know that it was here in Jacksonville that Florida’s first African-American resort community was founded, by the state’s first black millionaire. 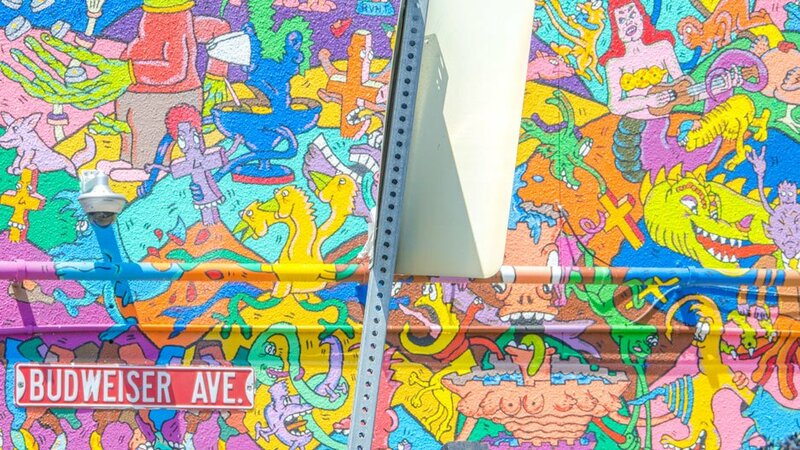 With diverse districts and subcultures, Miami boldly stands out when it comes to multiculturalism in this Florida road trip. Every year, there are various parades held on the streets, but on quieter days, stray off the beaten path. How about discovering the largest Moorish revival architecture in the West? Come to Opa-locka! The oldest neighbourhood you can find in Overtown, which has become central for the black community. In my experience, Florida isn’t very backpacker friendly outside of Miami. You will hardly find hostels around. But fret not, any decent Florida road trip basically begs for beach stays with pool access. You could go all fancy with the Standard’s infinity pool in Miami. Of course, there are plenty of hotels in Miami at half the price as well. Just know that the popular South Beach area would be a bit pricier. For alternatives, try Downtown or Brickell, which is also known as the “Manhattan of the South”. While it is entirely possible to hit up Fort Lauderdale on a day trip from Miami, why not stay a while and maybe discover the Everglades from here? I did and it was absolutely fabulous. (see the video here) I visited for TBEX in Fort Lauderdale. And while I didn’t enjoy my airbnb at all, I loved seeing all the glitzy hotels along the Fort Lauderdale Beach, such as the W Fort Lauderdale. For Jacksonville, the hotels will be located in the modern centre. So if you want that Southern flair, why not go on a little walk? Follow the shores and marvel at picture-perfect white washed mansions. You wouldn’t know it from such quaint scenes, but Jacksonville is the most populous city in both Florida and the southeastern US! Which will it be? Jacksonville, Fort Lauderdale or Miami? 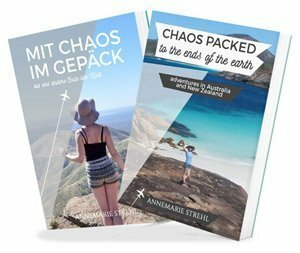 A better question is, why choose? 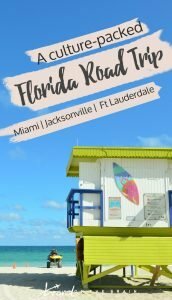 I really enjoyed my stay in each city of my Florida road trip and they were surprisingly different. 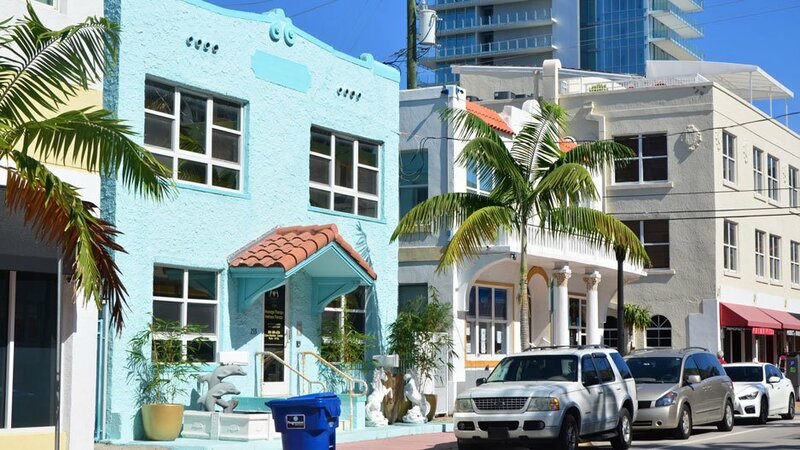 To me, Jacksonville had a particular sleepy Southern charm, Fort Lauderdale was hip and very much foodie while Miami was all about vibrancy and parties. 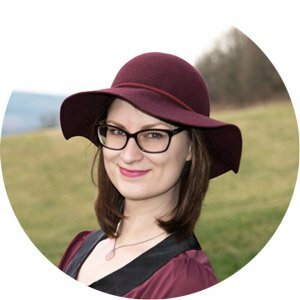 I’d love to hear about your impressions. If you haven’t been yet and can’t say, well, now you have new notes on your bucketlist to make. 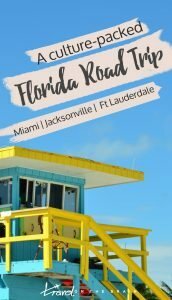 Are you currently planning a Florida Road Trip? I would love to hear what you are up to! 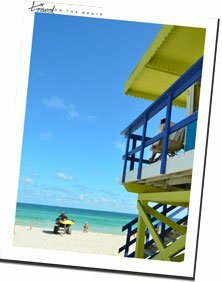 Top Things to Do in Miami – Don’t Miss These!